It is a wise choice to pack your skin care products with such a black paper tube packaging box with leather imitation façade. This tube packaging is made of 350g grey cardboard and 80g double chrome paper, smooth on both inside and outside, and black leather paper attached on the surface as an ecological imitation of that valuable material. Putting your skin product inside this box with certainly increase their image, while the cost is very economic compared with real leather box, which also do harm to the nature. The thick texture of leather imitation paper gives it an unflatten touch, similar to the real leather, giving a high-end impression. The logo is printed with golden hot stamping and embossing technologies, making it luxury and attractive. 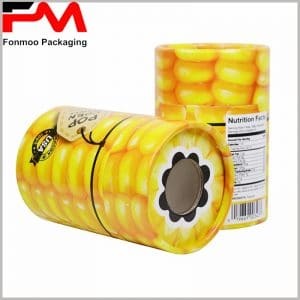 If this tube box impresses you, do not hesitate to contact us to put any of your demands on the table. Expertise in tube box fabrication as we are, we will bring you demanded custom leather imitation tube box for skin care products at good cost and with flexible conditions.